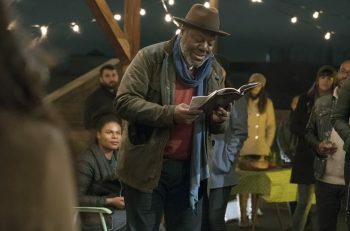 Name any show where the main character’s friends turn into “family” and add in the tone and emotion of This is Us. That’s how I would describe NBC’s newest drama, The Village. Since this episode was all about introducing us to the world of this apartment complex, let’s meet the tenants of The Village, shall we? 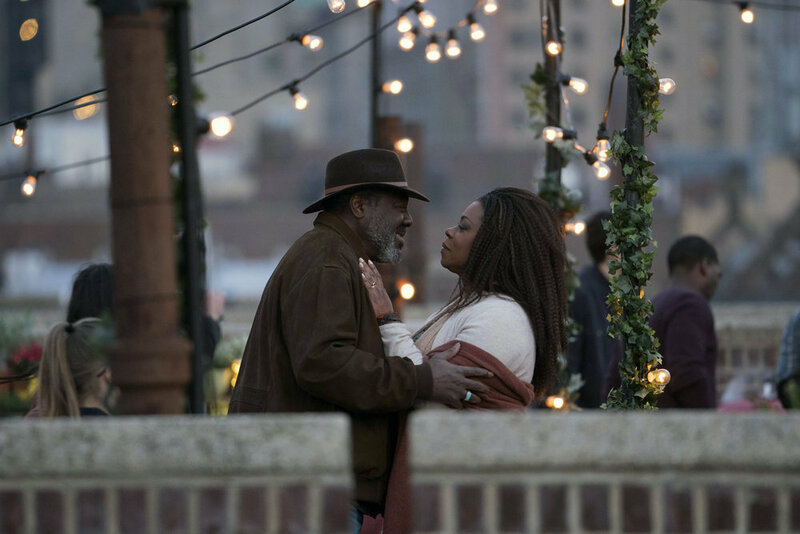 Ron (Frankie Faison) and Patricia (Lorraine Toussaint) are the heart and soul of The Village. Ron takes Nick under his wing and shows him around while Patricia tries to do whatever she can to help out Ava in her unfortunate situation. But they have their own problems as well; the bar Ron owns is as empty as a ghost town while Patricia has cancer, but is choosing to keep it under wraps while she puts everyone else around her first. Ava (Moran Atias) is arrested outside The Village by ICE for being undocumented, even though she thought her ex-husband had gotten her the proper paperwork back when they were still together. 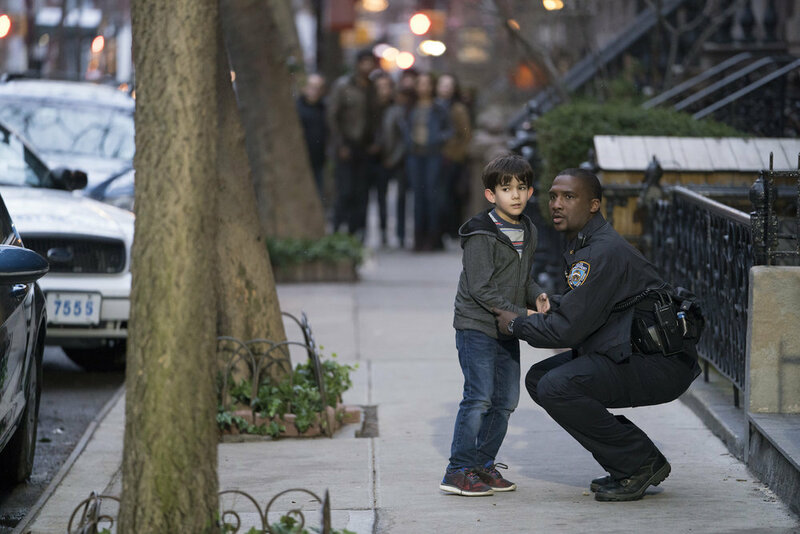 She’s taken away from her young son, Sami (Ethan Maher), but he’s left in the care of local police officer Ben (Jerod Haynes), who also happens to live at The Village. 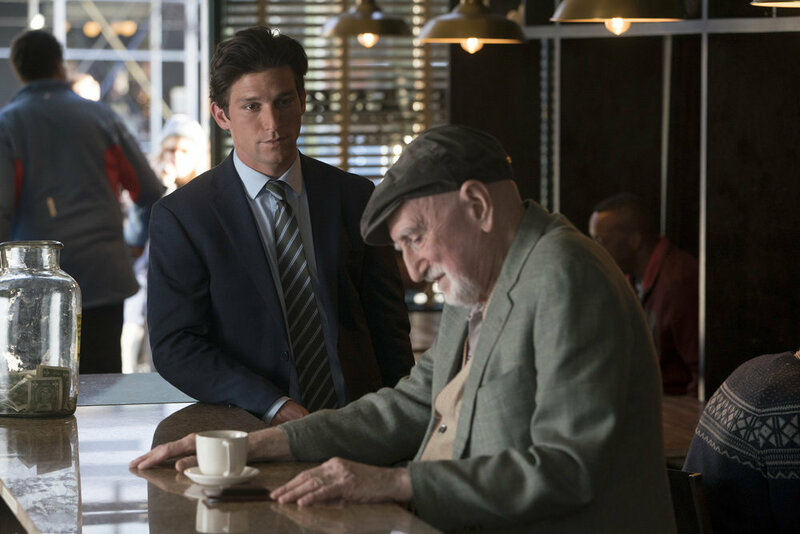 Gabe (Daren Kagasoff) is a young law student who looks after his grandfather, Enzo (Dominic Chianese). Gabe struggles with wanting to do right by his grandfather, helping out his scared neighbor in her time of need and managing his own studies and personal life. Honestly though, how does Gabe spend so much time outside of the library? I have friends in law school who I don’t see for months at a time when school is in session due to how demanding it is. Enzo is grieving the death of his childhood friend, Bernie. All he and some of his other friends from the nursing home want to do is take a trip to the amusement park where they met as kids as a way to honor their friend. Gabe refuses to indulge him in his antics, but Nick hands over his credit card to make it happen. Side note: Who the f*** lends their credit card to someone they just met? I know Enzo is old and harmless, but this choice still baffles me. Gabe takes that advice to heart. By the end of the episode, he has taken on Ava’s case (even though, like he’s said multiple times, he can’t legally practice law yet) and stops worrying so much about his grandfather’s every move. Single mother Sarah (Michaela McManus) is raising teenage daughter Katie (Grace Van Dien) — who surprises Sarah when she tells her that she’s pregnant. Katie doesn’t want to go into depth with Sarah about her situation because she feels like she ruined Sarah’s life since Sarah had Katie at around the same age. Oh yeah — Katie was also suspended from school for cutting up a fence and crocheting a heart because she doesn’t want a “war-profiteering missile manufacturer” in her backyard. Yeah, things are going swimmingly for this mother-daughter pair. Sarah asks Bernie’s grandson, John — who she just met — to a monthly party at The Village because she “needs to look happy and fulfilled for her daughter” and not look “catastrophically single”. They show up to the party, but nothing really happens between them; he seems perfectly nice and since I’m assuming they didn’t introduce him for no reason, he’ll continue to stick around for a little bit. At the party, Sarah and Katie get everything out in the open. Sarah tells her, “You know hard and happy aren’t mutually exclusive. Life can be both. And mine has been, mostly.” She reaffirms that everything that happened in her life was because of her choices, “good or bad”, and that Katie can’t blame herself for things that she had nothing to do with. Nick (Warren Christie) is a wounded veteran who’s recently returned home from war. A friend tipped him off to a sublet in The Village and a lead on a job. But once he gets to The Village, he realizes that it may have been more than he bargained for. 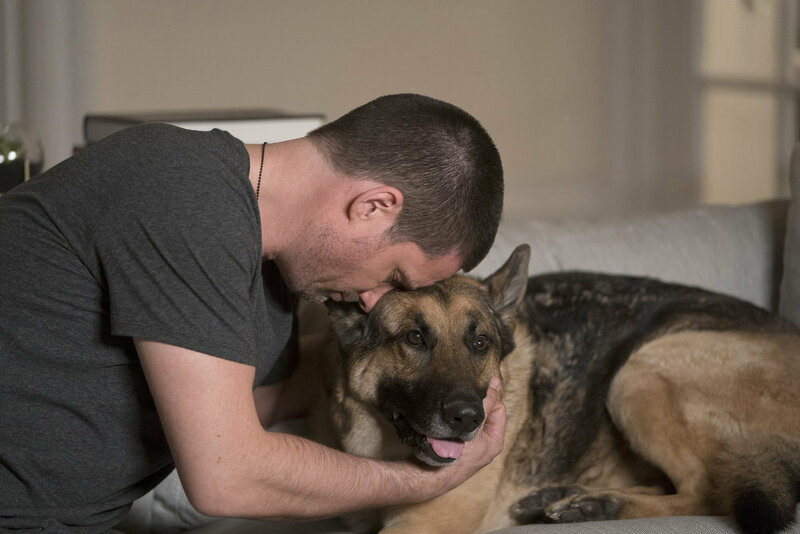 He also reunites with his decommissioned military dog, Jedi; we don’t know much, just that Nick has clearly been waiting awhile to be reunited with Jedi and the two of them have a special bond. Jedi has lost a leg as well so my guess is that he was working in Afghanistan with Nick on the mission that got Nick wounded. As it turns out the friend that told him about The Village is none other than Sarah; the two of them were presumably high school sweethearts. And for the big, yet predictable twist that is revealed in the final minutes: Nick is Katie’s father. The pilot is a little rough around the edges. Certain storylines are more focused and just generally more interesting than others at this point. But there is definitely a lot of potential. I’m really interested in Nick’s story. I’m fascinated by the world of the military and I’m always interested in different portrayals of PTSD. I’m also really interested in the backstory between Nick and Sarah. I love that Patricia and Ron have storylines of their own but are also entangled with everyone else’s. It makes them feel like more than just the mom and dad figures of The Village who are there to clean up everyone else’s mess. The Ava/Sammy/Ben storyline is where this pilot loses me. I didn’t think the pilot spent nearly enough time establishing this storyline. The Gabe/Enzo storyline kind of loses me too. Is Enzo just supposed to be the free-spirited, “live your life to the fullest” older guy? As of right now, he doesn’t have as much of a purpose. Previous article ‘Arrow’ 7×16 recap: Mia and William track down Felicity in 2040 but where is Oliver?